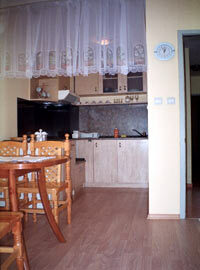 Laiosh Koshut Apartment offers a quiet and undisturbed stay in the centre of Sofia. 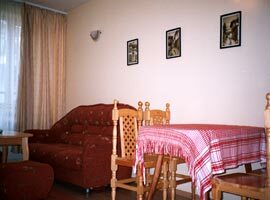 The apartment is situated in a brand new block of flats, behind the Medical Emergency Centre "Pirogov", close to shopping areas, administrative buildings. In the same building is Laiosh Koshit Studio available on this web site. 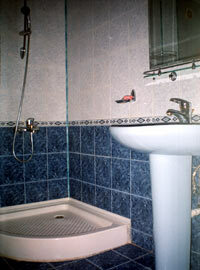 The apartment is brand new, recently furnished with full range of useful equipment and facilities. The apartment is very bright and sun. 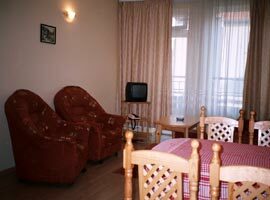 This property can be occupied comfortably by maximum 3 persons. 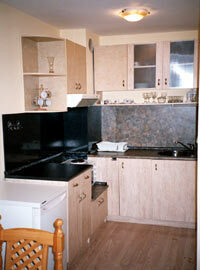 The modern kitchen in bright colours is fully equipped with electrical appliances. There is cable TV, phone, Iron and ironing board.